The National Highway Traffic Safety Administration (NHTSA) recently announced that it will be releasing a final rule setting the guidelines for technology that integrates smartphones with a vehicle’s internal systems. These technologies make it possible for drivers to sync their smartphones with their vehicles to use GPS, voice-activated phone calls, and more – without having to hold the device in their hands. The decision to move forward with guidelines regulating smartphone integration raises two significant points for the industry and for experienced California car accident attorneys who focus on distracted driving accidents. First, the guidelines may replace voluntary guidelines for smartphone safety and use. The voluntary guidelines were intended to give smartphone makers the tools to help drivers avoid distraction on the road. 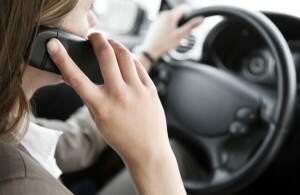 Required guidelines for smartphone-car integration, however, may make many of the proposed voluntary guidelines moot. Second, the NHTSA’s announcement of its intent to create mandatory guidelines covering smartphone integration indicates that the NHTSA believes it has the authority to regulate not only motor vehicles, but mobile devices, at least when they are used in motor vehicles. If so, the agency is likely to expand its rulemaking in this area. The expanded rules may improve safety on U.S. roads, but they will also create a new set of requirements for automakers, mobile phone companies, or even drivers. At Jurewitz Law Group, our experienced San Diego cell phone car accident attorneys can help you determine exactly who or what caused your crash. We can also help you seek the compensation you need to move forward. Contact us today by calling (888) 233-5020 for a free and confidential case evaluation.